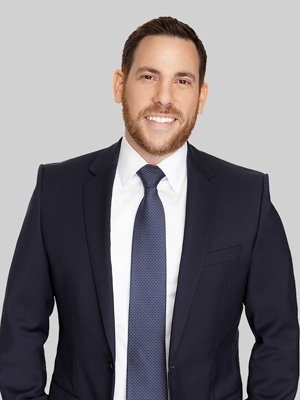 Josh represents clients in a wide range of entertainment and litigation matters including business and personal torts, intellectual property and contract disputes. Before embarking on his legal career, Josh worked for a decade in the film and television industry. His experience includes seven years as executive assistant to writer/director/producer James L. Brooks. Josh assisted Mr. Brooks during “The Simpsons Movie,” seven seasons of the long-running TV show “The Simpsons” as well as feature films such as "How Do You Know?" and “Spanglish." Josh’s other industry experience includes working as a production assistant for Michael Mann during post-production of the film "Ali." Prior to joining the firm, Josh was a summer associate at Fox Rothschild and served as a judicial extern to the Honorable Beverly Reid O’Connell of the U.S. District Court for the Central District of California. While in law school, Josh volunteered at the Los Angeles Family Law help center and was a mentor to first year law students. He held the position of Production Editor on the Loyola of Los Angeles Law Review where he wrote and published two law review articles. He is also a member of the Order of the Coif.